Industry experts discuss the impact architecture has on wellbeing during a 2017 Global Wellness Summit roundtable, with architect Anthony DiGuiseppe noting: “the advent of sealed building with no air coming from the outside has put the public at risk.” Hear More. Refinery 29 examines the beauty brands at the forefront of the research into the impact pollution has on our skin and the pollution-fighting skincare their creating to address it. Read More. 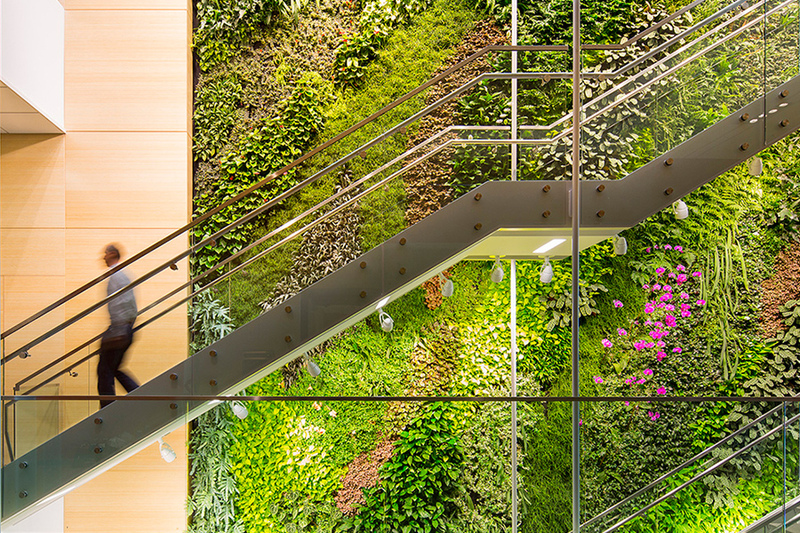 Summit Chairman and CEO, Susie Ellis on the beauty and health benefits living walls are bringing to our urban areas. “The truth of the matter is that it’s our collective decisions – like cleaning up the deadly particulates in the air – that truly matter. And the solutions coming from the collective for this issue are downright magnificent in both their beauty and simplicity.” Read More.